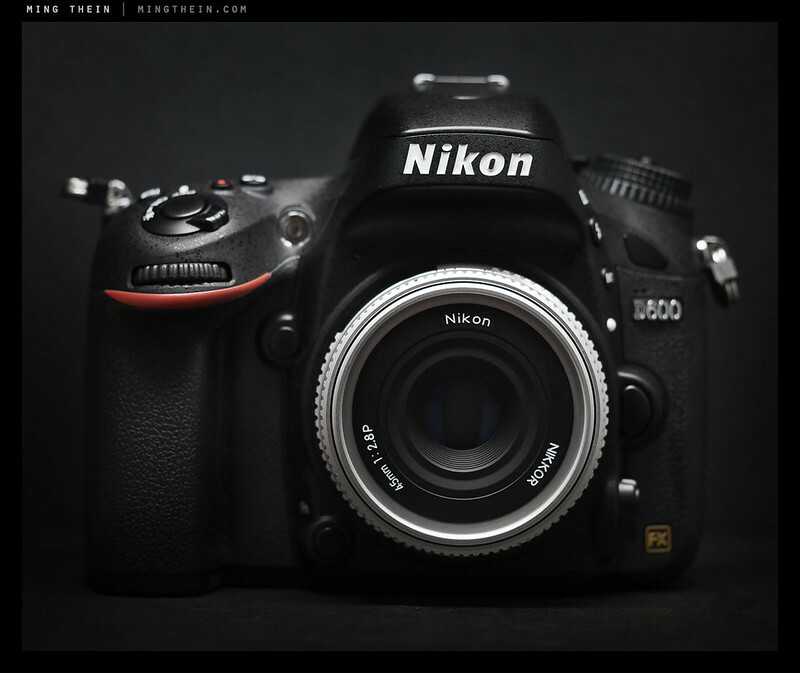 The Nikon D600 review: full frame for the masses? Some cameras launch with a huge amount of anticipation and fanfare, some are surprises from far left field, and some are simply such poorly kept secrets that the manufacturer might as well just have skipped the announcement. Although the Nikon D600 falls squarely into the last category, I think photographers in the world were pleased when it finally broke official cover. The camera itself breaks almost zero new ground technically – it doesn’t push boundaries in any way. Not quite what you expected me to say in the first paragraph, I bet. This is not to say that it’s a bad camera; far, far from it. I think two questions were on the mind of the Nikon enthusiasts and pros after the launch of the D800 (full review here) and D800E (which curiously, I’ve never actually reviewed): firstly, was this the D700 replacement, and why the enormous resolution? The D800 snuck in at the same price point as the D700 back in 2008; subsequent erosion of the D700 saw prices fall to the US$2200 level or thereabouts, at least for street prices in this part of the world. The older model continued in the lineup together with the higher spec (and higher priced) D800 pair. At this point, however, the technology inside the D700 was five years old – an age in the digital world, and possibly the oldest sensor architecture still purchasable new (with the exception of the Leica M9, whose photosite design was inherited from the 2006 M8). The D700 and D3 were turning points in Nikon’s history: first full frame, and first time in recent memory the noise advantage shifted decisively away from Canon. 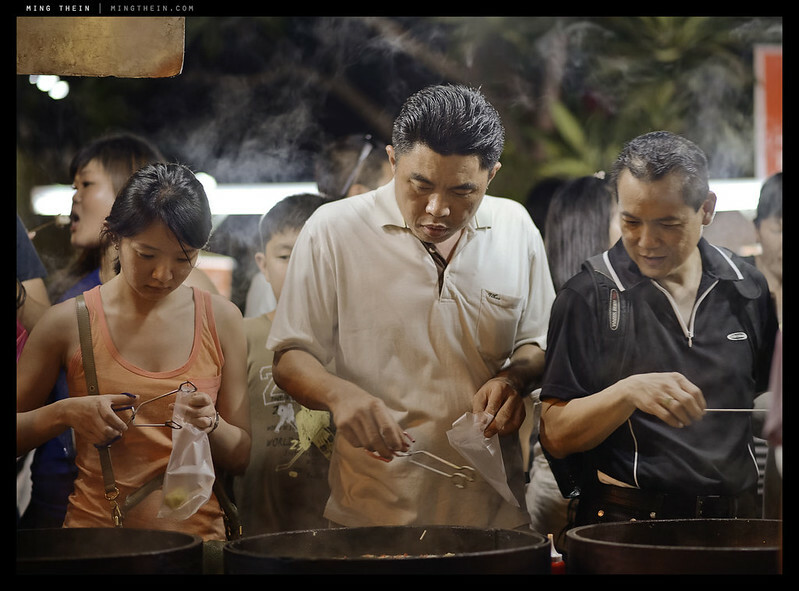 Even today, the D700 remains an excellent camera – mine has over 70,000 frames under its belt and hasn’t missed a beat. I still use it on reportage assignments or where the client doesn’t require 36MP and the associated enormous files. (My long term review of the D700 is here.) This review will be written from the point of view of a long-term D700 (100,000+ frames on two bodies) and D800E (20,000 frames between the D800 and D800E) user, with comparisons and references to both. Over the last few months, I’ve received no end of emails from prospective upgraders asking if the D800 was the camera for them; my answer is a resounding no. If you need the level of image quality this camera can deliver, you’ll know it, and you won’t need to ask me. If you don’t, and you buy it, you might be surprised that it doesn’t quite deliver the same pixel-level crispness as the D700 or D3. It’s an excellent machine, supplanting low-end medium format gear, but it also requires the rest of the support (lenses, processing workflow) to go along with it. Note: this review, as with all of my other camera reviews, is written from the point of a working professional. Images are edited through my usual Photoshop workflow as this is how I’ll be using the camera normally; I don’t shoot JPEG SOOC other than for client previews. For those who think it skews results, Photoshop benefits all images equally: it can make a great shot even better, but it can’t fix something that should have been there at the time of capture. 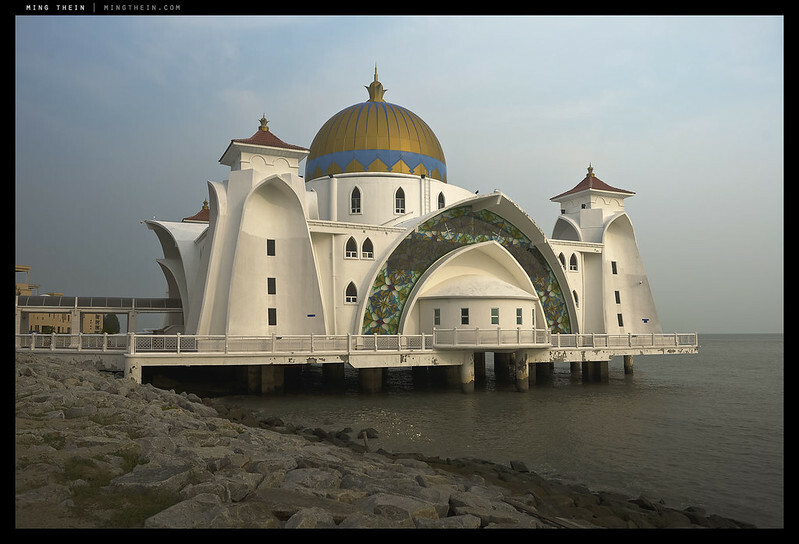 EXIF data is intact and can be viewed by clicking through the image to its Flickr hosting page. Enter the D600. I think it’s best described as a hybrid of the D7000 and D800; it inherits the feel, construction, AF system and controls of the former, with most of the innards of the latter. It falls between the two in size, too, but it closer to the D7000 in ergonomics and weight. It also has a similar shutter/ mirror feel to the D7000 – well damped, and much quieter than D700 or D800, but is limited to 1/4000s instead of 1/8000s. Mirror blackout feels about the same as the D7000, which is still excellent. You won’t notice shutter lag with any of these cameras, which are all in the 40-50ms range. All three share the same EN-EL15 battery. The rest of the spec falls squarely in the middle, too: 24MP, 5.5fps (no boost with the optional EN-EL14 battery grip, and no provision for taking the larger/ higher capacity battery from the D4); 1080p30 or 720p60 video, native ISO range from 100-6400 with extension to 50 or 25.6k. It uses the same EXPEED 3 processor as the D800, which means shunting around those largish 14bit files with relative abandon; the 14-bit lossless compressed RAW buffer is 10 frames. (Despite the files being smaller, it doesn’t feel any faster, though.) You also get a 100% finder with 0.7x magnification, but not the round eyepiece or eyepiece shutter; it’ll take the DK21M magnifier, and has a reasonably high eyepoint – I can see the whole frame just fine with my glasses. Sadly, the focusing screen has become even less snappy than the D800; it’s nearly impossible to use for manual focus without the focus assist dot. Fortunately, live view works the same way as on the D800, with a button to enable it surrounded by the still/ movie mode switch. It’s also inherited the record button placed behind the shutter, and the slightly difficult to reach second button – except now it controls metering mode, with exposure modes placed on a lockable dial – together with the fully customizeable U1 and U2 memory positions from the D7000. You also get IR remote receiver ports on the front and the back in lieu of the 10-pin connector on the front, which neither the D700 nor D800 have. It definitely doesn’t feel as solid or dense as the D800, let alone the D700; but if you haven’t handled either, you probably won’t be able to tell the difference. Nikon claims a magnesium-alloy top panel, polycarbonate bottom section and magnesium frame, although the only way you’ll really be able to tell you paid a bit less is the feel of the rubber grips – it’s definitely D7000 semi-slippery and not D800/ D700 sticky. I personally don’t find the shape that comfortable either; it’s too square around the bottom portion where you little finger rests. The body has environmental seals to about the same level as the D7000; the gaskets don’t look as robust as those on the D700 or D800, and certainly not the D4. Curiously, I don’t feel either the D600 or D800 are true replacements for the D700; neither will do 8fps, and the model that shares the same build (D800) has such a high pixel count that it isn’t really suitable for some applications such as photojournalism or low light work. The D700 line has thus bifurcated into a more serious and less serious option. There is one huge improvement in usability that’s worth mentioning: in manual exposure mode and live view, the camera now shows a usable/ visible image rather than the actual shooting exposure, which means that you can easily manual focus with a flash setting (say 1/200s, f8, ISO 100) in ambient light rather than having to change exposure or switch between aperture priority and manual to be able to see your image. 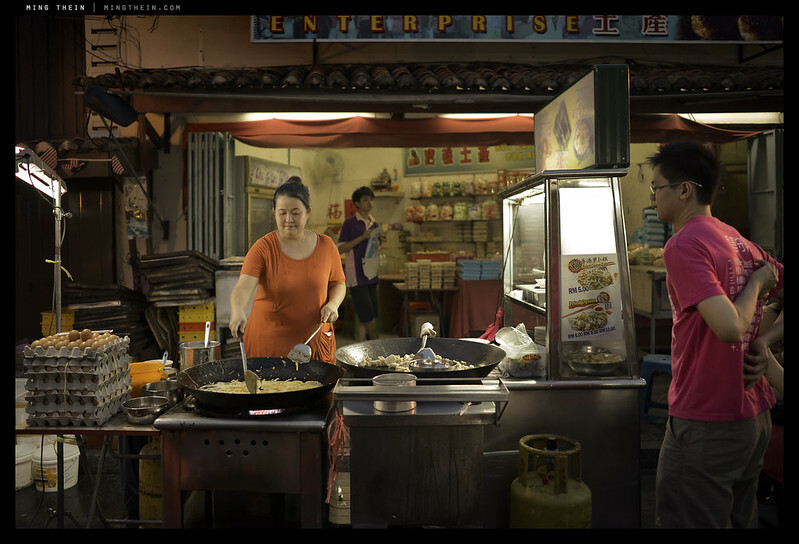 The image is also a lot sharper than the D800 and not blocky – it’s much easier to tell what is in focus, and what isn’t. Needless to say, we don’t need to talk about usability of the D700’s live view function – putting it on the drive mode dial was just clunky, and precluded the use of the self timer or mirror lockup to minimize vibration. On the other hand, the D600 lacks a few controls that I’ve come to rely on in my normal workflow with the D700 and D800E, and as a result feels a bit more amateur than I’d like, mainly due to the number of button presses required for some things. Once again, if you’ve never used either D700 or D800, you probably won’t know or won’t miss them: specifics that come to mind are single-button zoom to a desired magnification level in playback using the center multi-selector; having the metering switch around the AE-AF-L button, and a separate AF-ON button. There are also fewer custom settings, though, notably around control configurability and autofocus. 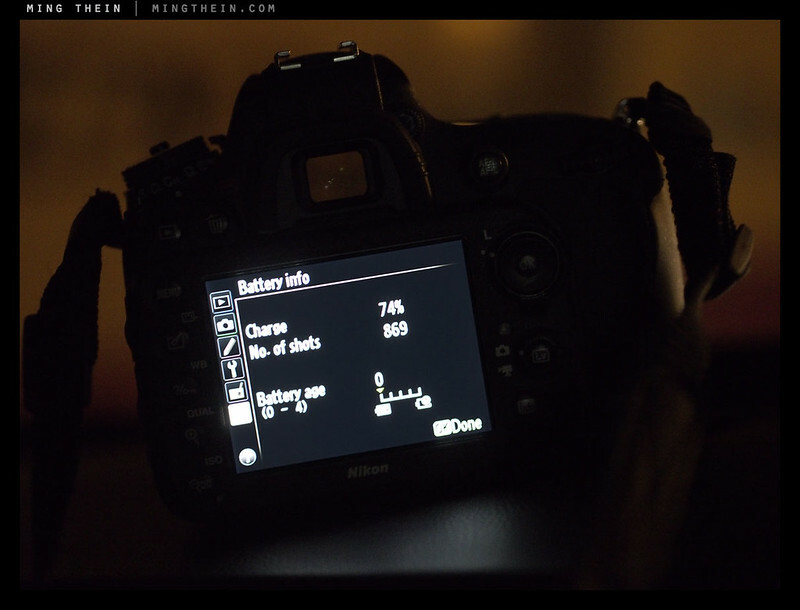 It’s also worth noting that although the camera has the same levelling display as the D800 in live view mode, it lacks the two-axis overlay in the viewfinder; instead, it uses the exposure meter to show left-right tilt, at the expense of the other shooting information which subsequently disappears. The LCD also appears to be less accurate for judging exposure than before; it appears much brighter and more contrasty than the actual image, which is something I haven’t seen on Nikon’s typically accurate LCDs. You get the 39-point MultiCAM 4800FX autofocus module in this camera, not the wide-field CAM3500FX system in the D700 and D800 – and the cause of much consternation amongst D800 owners for the notorious ‘left side AF’ issue. I’m pleased to report that after extensive testing and specifically looking for the problem, autofocus on the D600 is fast, accurate and positive even with moving subjects; perhaps feeling a little more ‘solid’ than the D800 – more like the D700, in this sense. My particular example required no AF fine tune adjustment with most of my lenses, and -5/20 on the 28/1.8. CAM4800 has been tried, tested and proven in the D7000, and performs equally well here; it’s even been tweaked a bit to be able to focus consistently with lenses as slow as f8 to allow reliable use with 2x teleconverters. The one bad piece of news regarding autofocus is that the points are now even more clustered around the center of the frame than the CAM3500FX cameras; it seems that the base AF sensor itself has been taken from the D7000 and used without adaptation to the field of coverage. 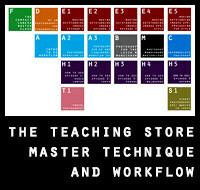 The overall coverage area is similar to the Canon 5DII, and it doesn’t cover the rule of thirds points, meaning that you’re almost always going to have to focus and reframe with off-center subjects, whereas the outermost row of five points would cover these subjects on the D700 and D800. Still, I’d rather have reliable accuracy over wider coverage, but ideally we should have both. The AF mode controls now use the new Nikon system of button plus command dial; rear to select AF-S or AF-C, and front to choose the number of points or 3D tracking. In some ways, I miss the physical switches of the last generation, but having these settings electronically selectable means that you can save all settings, including AF configuration, to the U1 and U2 mode dials – I’ll probably keep one set up for regular reportage-style shooting with 11-point AF-C, aperture priority and auto-ISO, and the other for studio/ flash work at the X-sync speed (1/200s), manual exposure mode, base ISO, and 39-point AF-C. I wish my D800E had this option. That said, I’ll probably leave the D600 set up for reportage, and the D800E for studio work. The D600 uses Nikon’s tried and tested RGB metering sensor (which also feeds color information to the AF system for subject tracking, as well as face recognition); it appears to be less biased to the active focus point than in the consumer cameras, but not quite as accurate for the overall scene like the D700; the camera seems to meter a bit hot in dark scenes, and a bit under for light/ white scenes – it seems we’ve taken a step backwards here. 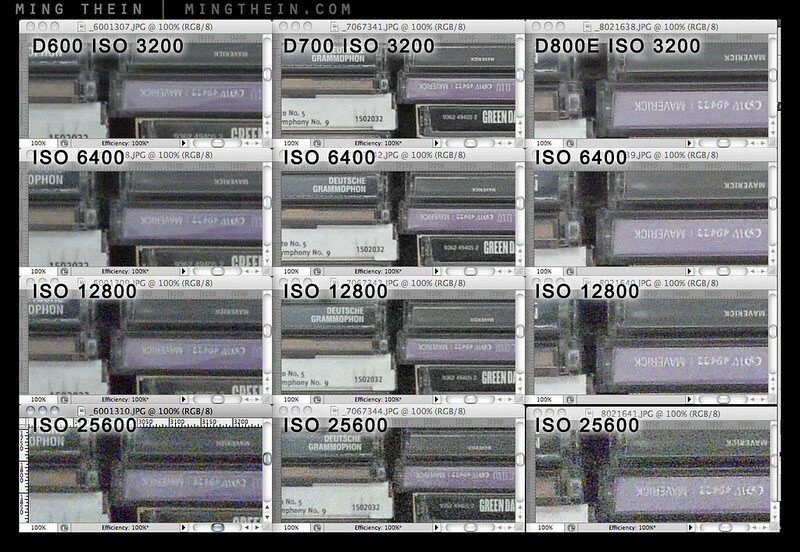 I feel the D700 generation had the most reliable metering of the lot; the D800 falls somewhere between the two. Auto white balance is accurate, and can safely be used for most situations. I believe the D600 shares the same base Sony sensor as the A99 (previewed here). It’s a 24MP CMOS design, apparently customized for Nikon – in the process losing the A99’s 10fps capability (or perhaps deliberately, to protect the D4’s position in the line as flasgship). Uncompressed RAW is no longer an option, but the whole workflow is 14bit. In any case, I remember testing the difference between lossless compressed and uncompressed NEF with the D3 and not being able to see any difference. The sensor delivers the same color palette as all of the other modern 14-bit Nikons; no surprises here. It’s worth noting that despite the larger pixel pitch, the D600 only matches it for dynamic range – somewhere around 13.5 stops useable at base ISO, which is on par with the leading DSLRs at the moment. Low ISO crops. Click here for 100% version. As usual go by what I say, not what you see; you’re looking at an artefacted JPEG, not the original file. High ISO crops. Click here for 100% version. 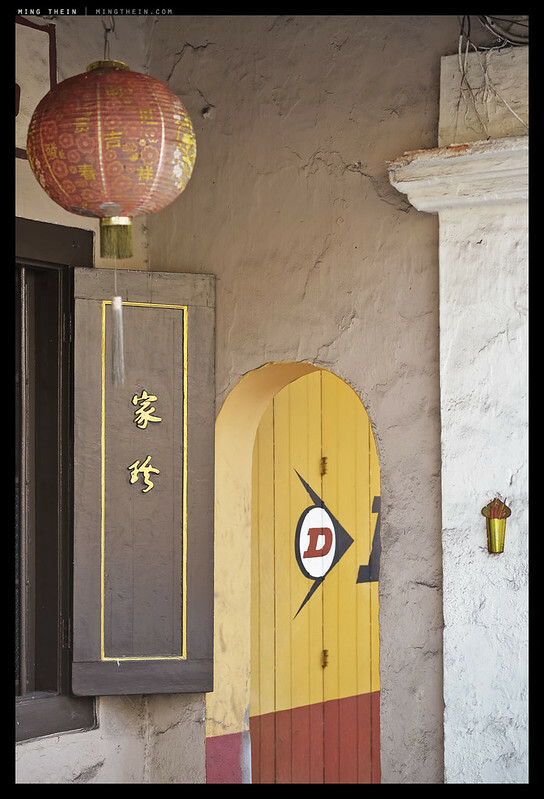 Both D600 and D800E produce slightly cleaner images at the pixel level than the D700 at identical print sizes; they’re also cleaner at the pixel level. The D600 doesn’t seem to gain anything over the D800E though; if anything, there appears to be more chroma noise at a lower, blotchier frequency. There’s also some softening going on; it seems that NR OFF isn’t really NR OFF on the D600 in the same way that it is on the D700 an D800E. The D600 also isn’t holding anywhere near as much detail – the AA filter no doubt has some bearing on that. What’s surprising is that at ISO 6400 and above, I’m not sure it’s outresolving the D700, either – look at the numbers in the purple swatch. The D700 also has noticeably less chroma noise; the amplitude is higher, but the grain pattern appears tighter and almost entirely monochromatic. Overall, I wouldn’t hesitate to use ISO 6400 under normal conditions, and perhaps 12800/HI1 under duress with a significant amount of postprocessing. One important caveat: Adobe Camera Raw does not yet support the D600, so I couldn’t put the files through my usual workflow. I used the default Neutral picture control with sharpness at 7 and HIGH ISO NR off from all three cameras; though it seems that sharpening 7 means different things on the different bodies I believe I’ll probably gain another incremental bit of image quality once I can run the files through my normal workflow. Such are the downsides of early adoption. For now though, a flat JPEG is eminently useable, if lacking in some of the tonal plasticity of a good NEF. The lens used was a Zeiss 2/50 Makro-Planar at f5.6, focused at high magnification with live view. The cameras were locked down on a Gitzo 5-series Systematic tripod and Manfrotto Hydrostat head. 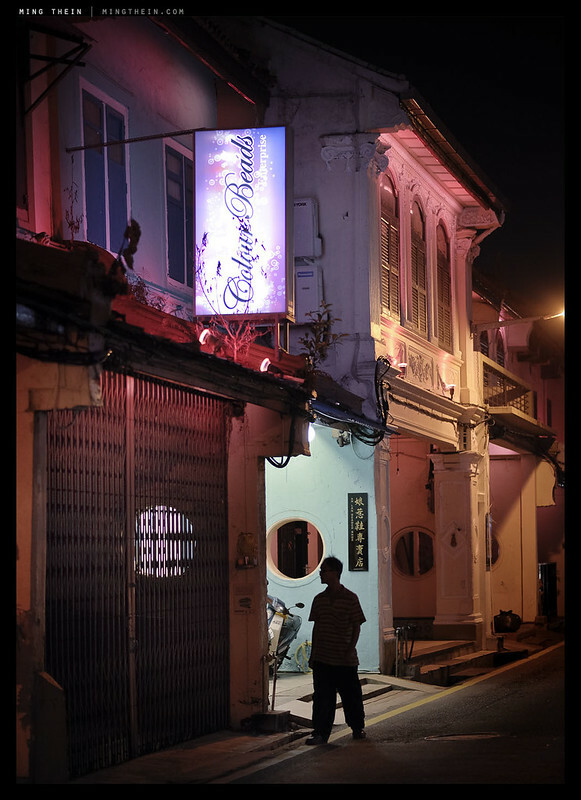 Overall, it’s safe to say the D600 shoots with the dynamic and tonal range of the D800, with the low light usability of the D700 – in part due to the lower pixel density sensor, and in part due to the very low vibration shutter. The large pixel pitch also means that it’s more forgiving when it comes to lens quality; needless to say anything that performs well on the D800E is going to perform well on the D600; I’m primarily using my AFS 28/1.8 G and 85/1.8 G without issue. Image quality is definitely closer to the D800 than the D700, and under circumstances where you can’t achieve sufficiently high shutter speeds, I suspect the D600 may well yield a better image than the D800 can, simply because it’s less demanding on the photographer. Battery life may well be the best of all of the current Nikons – I’m estimating around 2,000+ frames per charge with my normal shooting pattern (400 frames with a mix of CLS, live view and regular CH reportage/ street cost 20% in battery life). No flash and short bursts of 2-3 shots yielded the results below – without a photo, I don’t think any of you would have believed it. I certainly wouldn’t – that extrapolates to about 3,400 frames/ charge! If that’s still not enough for you, there’s an optional MB-D14 vertical grip that allows addition of another EN-EL15 battery; the grip is physically smaller to match the size of the camera, so it can’t physically fit the larger battery from the D4, and consequently doesn’t get a frame rate boost with the grip installed. I don’t remember seeing this even on my D3. Whatever they’re doing with that new sensor, it’s very, very power-frugal. Also, the test was done with an older battery from my D800E which had been cycled a few times – so it’s not a new cell anomaly. The screen appears monochrome because the highlights are blown; it was a very dark scene and shot for illustrative purposes only. I don’t have much to say about the camera’s video capabilities – I’m leaving that for persons more knowledgeable than myself; I’m absolutely not a videographer. However, on the few quick panning test videos I’ve done, I see minimal rolling shutter and to my eyes, it looks slightly more fluid overall than the D800’s video. This isn’t entirely surprising given the sensor’s shared origins with Sony’s heavily video-centric A99; video has traditionally been one of the company’s strengths. I believe the D600 also has the same capability as the D800E to stream uncompressed video out to an external recorder via HDMI, which will make it an interesting option for videographers on a budget. The D600 didn’t receive anywhere near the same fanfare or hype as the D800/ D800E at introduction; perhaps it was the long rumour train, or perhaps it was the fairly conservative spec sheet. However, I think this is going to be one of those cameras that enjoys a long burn in much the same way as the D70 and D700 did – it brought a decent feature set with a sizeable leap in image quality at a new low price point. 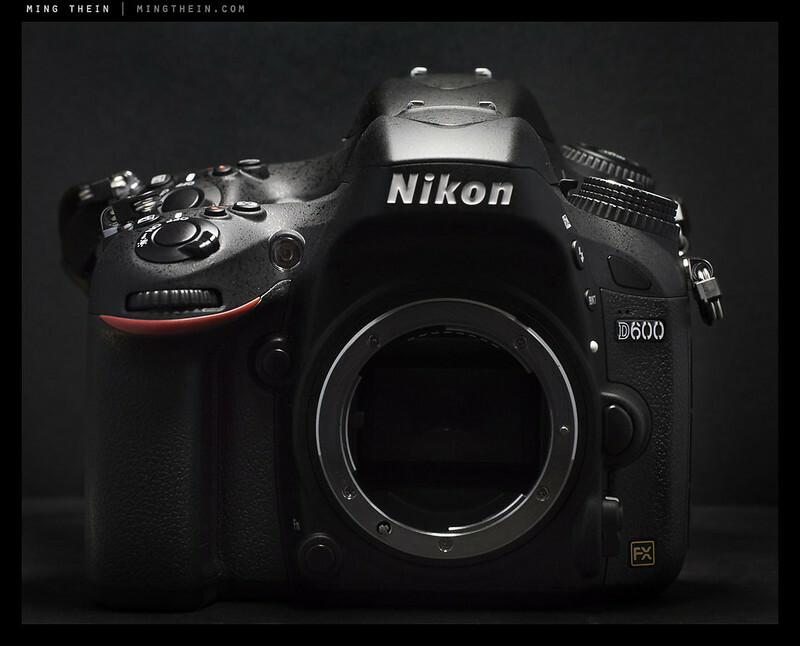 The D600 body retails at US$2,100 or thereabouts. In that respect, I feel in the long term it will do for full frame what the D70 did for DSLRs in general: it made it accessible. It’s more than enough camera for the average user, yet not so much that getting the most out of it becomes a challenge, like the D800/ D800E. The D600 is full frame for the masses; if you’re not a pro but you’re itching for an upgrade from your D700 or D7000, this is probably what you’ve been waiting for. You’ll notice I haven’t said much about its nearest immediate competition, the Canon 6D – that’s because I haven’t handled one. But I’d be surprised if there was any dramatic difference in image quality; photographers will pick one or the other based on the lenses they already own. Both of these cameras would make excellent travel outfits. Personally, I’m currently trying to decide if I’ll stick with the OM-D or go with a D600 and a couple of pancake primes. Both are capable of delivering excellent image quality in the right hands, have a few tradeoffs, but neither would be taxing to carry and shoot for an extended period of time in the same way a D800 and suitable lenses would. It’s the first big camera I’ve bought that didn’t feel like it was a dramatic upgrade in some way to what I had previously (think D200 to D3, or D700 to D800E) ; but a solid, incremental upgrade in all directions. The Nikon D600 is available here from B&H and Amazon (body only or kit (with 24-85 VR lens). Hi Ming! I’ve been following your website and your articles from Singapore, and your work has been an inspiration to me! 1. Use manual focus lenses and older AF lenses. 5. Good S/N ratio and dynamic range. I don’t need D800 or MF quality dynamic range, but having that will be a bonus. 6. Fast and responsive. A good all rounder in terms of image quality, speed, and responsiveness. I plan to get the DSLR second hand, and was going to consider the Df, but at asking prices of SGD $3000, it is out of my budget, and hence, I ended up considering between the D600 and D700… In Singapore, asking prices are around $200 apart, and hence, I would like to ask your opinion on both bodies. Is the D600 worth the extra $200 over the D700, and would I loose out on any particular important feature if I choose the D600 over the D700? As mentioned earlier, I shoot events, and also take photographs of landscapes, architecture, portraiture, and sometimes I like to dabble a little into performing arts and sports. Would love to hear your opinion on both the D600 and D700! I presume you read the review because you’re replying to this thread. I spent a week producing it, my opinion is in there. D700 if AF matters at all, D600 if resolution matters more. Alright! Thank you for the advice! I want to add a little info on the dust problem the D600 has (if you believe the heresay). I bought a D600 about two months ago. One month later there was dust on the sensor that would not go away and also the internal flash unit could not command my SB600/SB800 anymore. So I sent it back to Nikon for repair about 4 weeks ago. Since my camera was not returned yet (promised turnover was two weeks) I informed to the reason of the delay. And it seems Nikon is waiting for a new shutter. A new shutter??? So I hit Google and found that Nikon seems to be replacing the shutter assembly for each D600 that comes into their service center with a sensor dust complaint. I am happy with that because they would not do that if it would not fix the issue (or at least they would have string indications it will fix the issue) and my D600 will be fully adjusted to factory specs when I receive it back. I will report more when I actually have the camera back…. I got my D600 back yesterday! Nikon replaced the shutter assembly and cleaned the mirror box, the sensor and the ground glass. All seems to be working correctly now. I am going to use it again and let you know what my experiences are regarding the ‘particle issue’. I am happy the D600 is back. I missed it! Good to know, keep us posted. I would be very interested in your opinion on a comparison between the D600 and D800E if you were comparing side by side prints with both cameras using the finest glass and at what size print would the D800E start to show the edge. And just to add to the mix if you put in the test prints from a M9 or M-E and M where would they fall in the print size ranking. I know the Leica is a completely different beast with an eye watering price but it could suit my needs. At the moment I use only the D800E but need to get a backup and if possible something smaller and lighter. You’d have to go to 24″ and upwards with fine detail subjects before you’d see the D800E pull away in resolution – assuming of course you have the shot discipline and processing ability to get the most out of all of the cameras. The Leicas will be around the D600’s level; 4MP in areal resolution makes little difference linearly. So if approached from another angle, if you laid out 4 sets of A3 prints taken with the 4 cameras and finest lenses (assuming you are realising the cameras and lenses full potential) do you think you could tell which were the Leica prints and which were the Nikons work. Depends under what shooting conditions – assuming all else is equal, like shot discipline. Very low light and high DR situations would give the advantage to the Nikons. Good review, however, I don’t agree with your advice for potential FX buyers regarding their choice between the D600 and the D800. Why not get the best you can buy? If you have the money and you plan on using your new camera several years, just get the D800. It’s a more future proof camera and therefore a better investment. In a few years 36 megapixel will probably be a minimum. Also, as Enrico pointed out, the ergonomics and controls of the D800 are much better. money..helloo..sheesh. for another $1000, I can get a used 28-70 AFS.. some people..
OAN, the images have me worried. 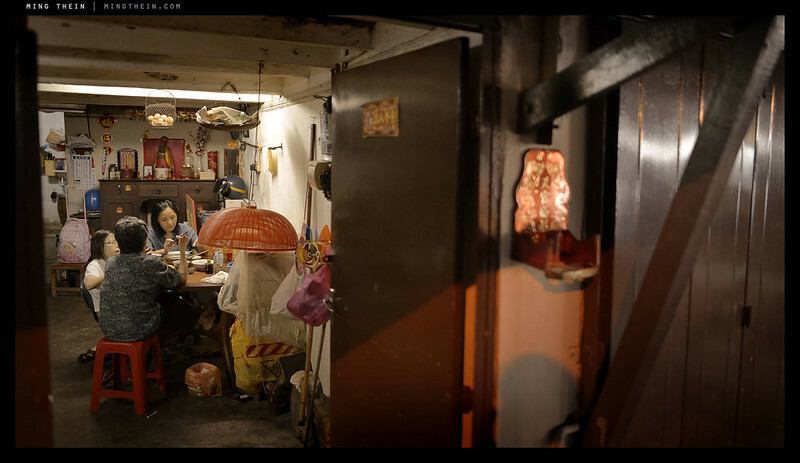 the d700 vs d600 looks sharper in 3200/6400 (which is whats important to me) how the hell is this possible? the pictures seem too soft. there’s no sharpness in the lettering/numbers. what gives and is this only because you downsized? They’re all 100% crops. The article was written before we had raw support for the D600, so you’re looking at JPEGs – this is duly noted in the paragraph interpreting the results. 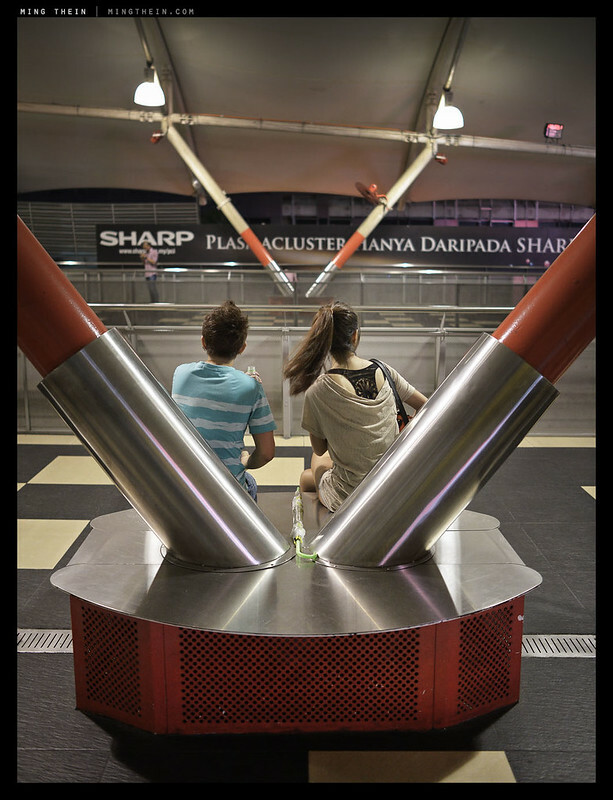 You inevitably lose some sharpness from every camera without a raw conversion. Although the D600 is a very capable camera, I eventually decided to trade mine in for the professional D800 model. The D800 allows me to print bigger and it has better ergonomics. 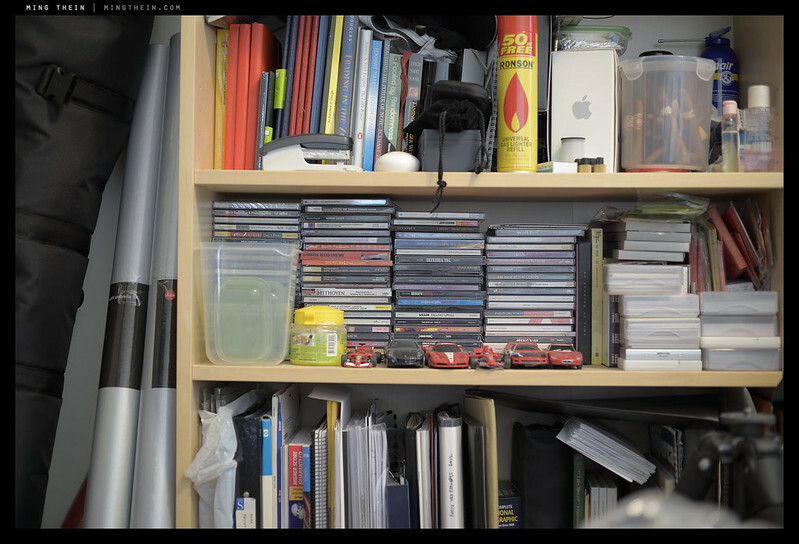 High ISO performance on the D600 is a little better I think. A professional camera is misnomer: image quality in any DSLR now is light years ahead of what was considered ‘pro’ just five years ago. Either is more than sufficient. I haven’t encountered it, but then again I haven’t used the camera that much, either. Mine had a lot of dust on the sensor. I sent it to Nikon, they cleaned it and it never came back. Thanks Jack. No issues with the D600, but I haven’t used it that extensively – it’s my backup body. Maybe I’m missing something, but I think the “2.8G” is a mistake. Sorry, I don’t quite understand the question? is this jpg stright from camera or you did some twiking i LR or Ps..
i just read other coments regarding d600 and i see that you use workflow in ps. (dvd) so… i was intrested in low light quality as it seems very good on this photo..
It’s my own workflow, so yes, it makes sense that I use it. 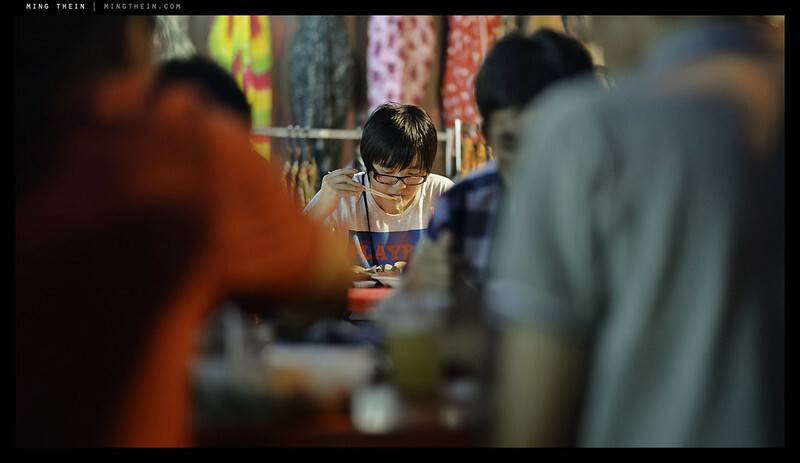 Low light quality is better than the D700, i.e. excellent. If you know your equipment and have enough skill, you can get great results out of any camera. But all things given, the D600 is of course better than the D7000. I just had my Nikon D600 last month. I took photos with aperture priority and when I verified the shots through the computer under properties and details, the Metering Mode registered on the photos says Pattern. Can you please tell me what this means? Your reviews and comments are always enlightening. To revisit an old subject, have you heard anything lately about Nikon resolving the reported debris and lubrication spots widely reported by many users? I think that the 600D is the camera best suited for me, but I don’t want to buy a camera that has inherent problems built in. Hello Ming. I am seriously considering replacing my D800E with the D600 because the focus issues, along with the LCA issue, when it is combined with my favorite lenses (the 85mm f/1.4G and the 24mm f/1.4G) makes the D800E a frustration to use. I shoot mostly people, and like to critically focus on their eyes. 1-2 CM off makes the photo not usable in my opinion. Quite frankly I regret moving to the D800E from my D3x (which I sold), but I cannot deny that when using LV focus for landscape work, the D800E is unbeatable. But since I am also getting the m240, I have a feeling the reason for keeping the D800E is getting less convincing. But rather than going back to the D3x, should I just go for the D600? 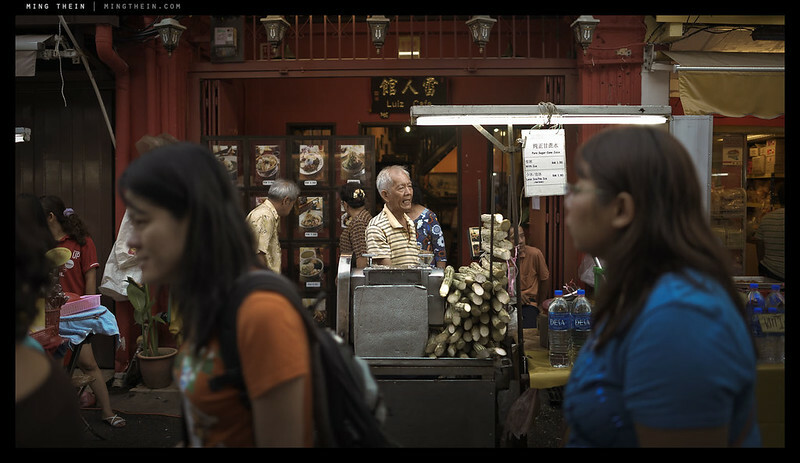 Have you compare the images between the D600 and the D3x? it’s a sad question to ask, but a necessary from my perspective . . .
No direct comparisons, but I’ve shot both enough to say that the D600 is 2-3 stops cleaner, but the D3x has slightly crisper pixels. The D800E beats both. Save yourself the money and trade the 85 and 24 for the 85/1.8 G and 28/1.8 G instead. Hi Ming, thanks for the fast reply (it’s something that really distinguishes you from the other authors, your responsiveness). I have the 85mm f/1.8G and it does focus much better on the D800E. However, the problem is that I shoot a lot into the light (a lot of my model shoots are against backlight), and the 85mm f/1.8G’s flare problem is not always a desired effect. Also, I frequently shoot with available light, and when the sun goes down, that extra stop makes a difference. Since the 1.8G also has about 2/3 lower in T-stop, I really lose almost two stops agains the 1.4G. That, in combination with that the D800E has a LOT of shutter shake, it is not realistic to shoot at even 1/80 shutter speed without worrying about camera shake. All of this combined makes the D800E + 85mm f/1.8G less attractive for me. I think there is a place for the D800E for certain applications, no doubt, but I am leaning towards that the D600 is really what I need for the situation I described . . . that’s my thinking anyway, but I haven’t shot with the D600 so I am just speculating. As for the 24mm f/1.4G, kind of the same thing, when I am shooting behind-the-scenes shots for, say, music video productions, every top does count . . . I thought about the D4, but having had three samples that had the same focus problems as the D800E (all of which I returned), I am not sure whether that solves the problem . . .
And the D4 focus issue is really what puzzles me . . . It has LESS pixels than the D3x so the argument that higher pixel density demands higher precision doesn’t really seem to apply there. Okay — one last question and this one has really been driving me nuts. My 85mm f/1.4G front focuses so I have to set the AF fine tune to +7 to have the center focal point perform the best (still have LCA wide open, of course). However, oddly, the only way for me to compensate is to set the default AF fine tune to +7. Using a saved value that is specific to the f/1.4G (same value, at +7), actually makes the focus worse. Do you have any idea what is going on here? It’s very strange . . .
As for the D4: it has the same AF modules (and presumably the same calibration issues) as the D800/E. Your AF fine tune is additive – default + lens-specific setting = 7+7, which means you’re doing +14. Try lens default at zero and general only. Curious, why D3s over the D600? Does the D600 also have a problem with the 85mm f/1.4G? On the AF tune, I tried 1) general = +7, no CPU saved value, and 2) general = 0, +7 for CPU lens. I assumed that both would yield equal results, but they do not, which is what is strange. Unfortunately, on this particular sample, the 50mm f/1.8G, which normally does not have a problem with the D800E, also front focuses severely, so I do think it is a general front focus issue with this body. No, but if you’re doing mostly handheld/ available light stuff and don’t print larger than 20×30″, I’d pick the D3S. Handling/ ergonomic issues and a bit of high ISO boost, plus wider AF point coverage. 1) and 2) should behave the same. Could be your body. Thanks Ming. I do print large prints (poster size for some, and sometimes on Duratrans), so more pixels is better, all things being equal. I don’t really need to shoot much higher than, say, 1600 ISO. I would otherwise go back to the D3x, but with the D3x I found 800 ISO to kind of be the limit of what I thought was acceptable (unless I was going for the noisy look). Agreed on the ergonomics of the professional bodies, though. Wonderful, on the AF tune issue . . . another stupid thing to deal with on this D800E . . .
You could always try a new D800E body. This is my 8th one . . . (well, 6th D800E, I tried two D800 before this). I thought it might be the lens, so I did order a new 85mm f/1.8G and 24mm f/1.4G. My prior one, the best of the 7, was fixed by Nikon 4 times. The first three times didn’t do anything (that was before Nikon admitted there was an AF problem). The four time, left AF problem went away, but the camera front focused generally. So, I insisted that Nikon take it back, which they did, and I bought this one. don’t get me started on my D800/E saga . . .
Oh boy. That’s a disaster. Late serial and everything? And I thought I had the runaround with a couple of bodies and fixes. Sorry for intruding into this thread with newbie question, but could you be so kind and explain a bit about this “crisper pixels” thingie? Is it equivalent to some other established term? Can it be measured objectively? Subjectively? Which cameras are the best at it, according to your experience? It’s not a technical term. However – there are cameras with AA filtration vs non-AA filtration – some acuity is lost in exchange for moire suppression. Well, as far as i know, both D600 and D3X both have their AA filters present. And they have exactly the same pixel size. So how come one is different from the other? Also removing the AA filter theoretically should bear some consequences (there was a reason to put them in the first place), so those aliases and moire should be worse on some cameras then the others – is there some comparison anywhere? As on my D600, despite the AA, i sometimes see a lot of moire (mostly color one) in frames with small regular patterns present. Seems to me worse than the D7000 i had beforehand (but i didn’t have them at the same time to make accurate comparisons). The D3x AA filter is weaker than the D600 one – at least in my experience shooting with the two cameras. And not all pixels are created equal – just because there are the same number doesn’t mean they have the same architecture or SNR properties. There are plenty of comparisons between D800 and D800e online – perhaps the clearest like to like comparison of the effects of an AA filter. Yeah this one starts with 301 so it’s a late model. I’ve basically concluded that I just can’t shoot comfortably with the D800E with any of the lenses that are faster than f/2.8. 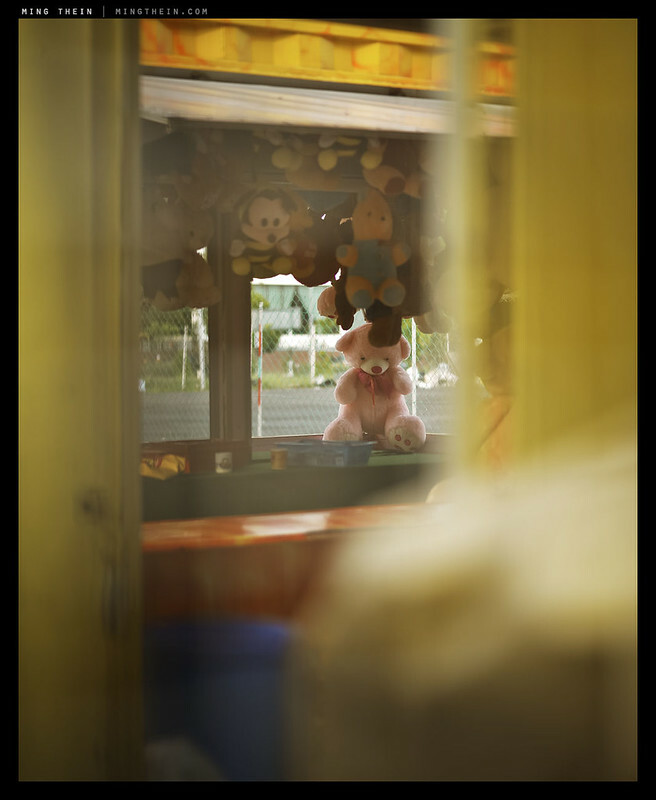 Quite frankly even the f/1.8G lenses are not always spot on. But the D800E is no doubt the best choice if you are using any of the f/2.8 or slower lenses. In that regard, the D800E still has a place in my lineup for a lot of applications. For situations when I want to shoot with the f/1.4 lenses, I will have to look to another body, and I am debating between the D3x or the D600. Important to me are image quality, ISO, and dynamic range (since I shoot into the light a lot). It sounds like for image quality, D3x is still higher, ISO advantage goes to the D600. How about the dynamic range issue? 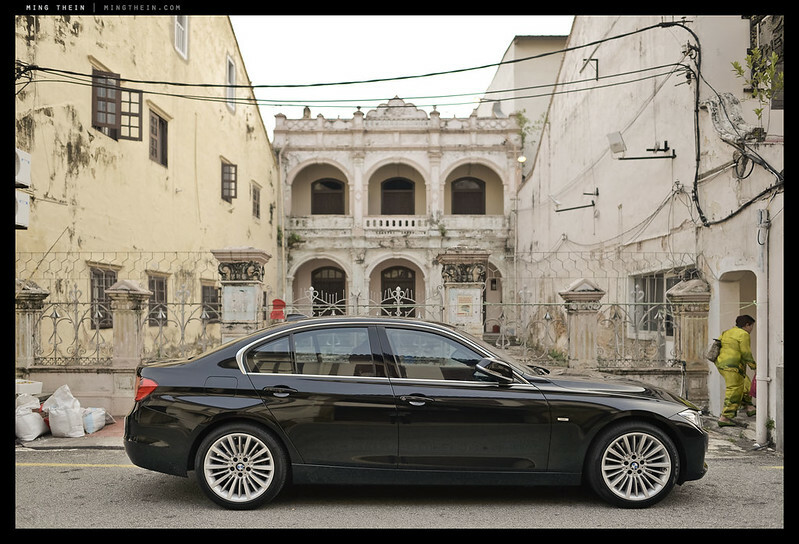 D600 wins on dynamic range, in my mind. It’s almost the same as the D600, and holds it much further up the ISO scale. The D3x was great at 100 and 200, but beyond that you could feel the dynamic range disappearing quickly. 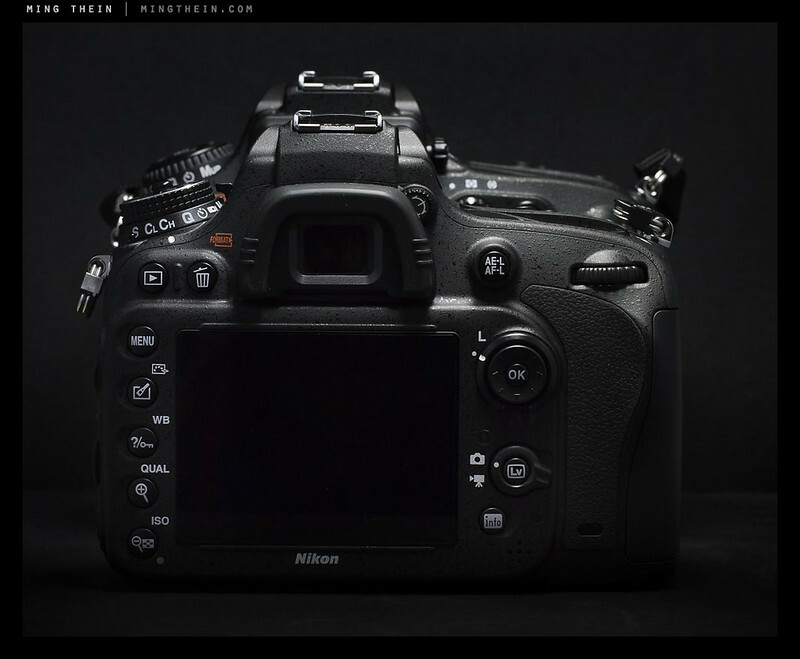 “almost the same as the D600,: do yo mean almost the same as the D800? Anyway, thanks Ming. I think I know what do to now — D800E for studio, landscape, lens choice = 24-70mm f/2.8, 16-35mm f/4, 70-200mm f/2.8 VRII, PC-24mm. D600 for faster lenses when I need the speed, or want the bokeh, lens choice = 50mm f/1.8G, 85mm f/1.4G, 24mm f/1.4G, 135mm f/2 DC. I have not coupled my 400mm f/2.8 VRII with the D800E, will have to try it and decide. On the D3x, the 400mm f/2.8 VRII was insanely sharp. I usually have two bodies anyway, one as a backup. So I guess in this case, the D600 will be my backup/fast-lens camera. 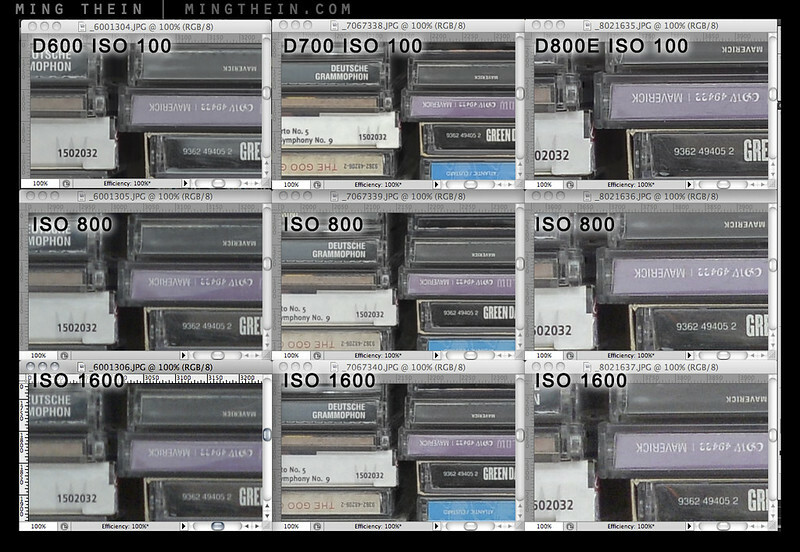 Sorry, yes – the D600 is almost the same as the D800/E in terms of dynamic range. I couldn’t see much of a difference. Okay since it was on my mind, I just tested the 400mm VRII on the D800E. Tact sharp I am happy to report (whew), even at 3 meters, where my DOF was only about 1.5 cm, LensAlign image shows focus spot on right at the 0 line with the DOF ending symmetrically at around 1.5 on both sides. at 10 meters, focus is still spot on. Granted, my D800E has to be set to a +7 default AF fine tune because of a general front focus, but so far of all my lenses, the 400mm VRII is the sharpest, most accurate, and consistently focusing lens on my D800E. Of course, this is the sharpest lens that Nikon makes, so I am starting to wonder whether, on the other lenses, some of the softness is contributed not only by a focus issue, but just the sharpness of the lens not being able to keep up with a 36MP sensor. The teles tend to work much better than wides because the increase in phase angle between in focus and out of focus is easier for the AF sensor to deal with. Some of the softness is definitely a lens limitation, though. Ah, that makes sense; you’re the man Ming there is no question to which you don’t have an answer. However, I do have to confirm — I don’t think that the Nikon AF tune is cumulative as you suggested. I think if there is a saved value for a particular lens, that value is used instead of the default value. If a mounted lens has no saved AF fine tune value, then the default is used (assuming AF fine tune is turned on). Am I wrong on this? Just going by the manual . . . Mine seems to be cumulative. I’ll check. I just skimmed through the written part of your review…no reflection on your review itself, its just that I am not that interested in the written part as I am already deep into a Canon system…but I just wanted to congratulate you on the images..they look rich with a sharp eye for detail…which I am sure is more a testament to your own skills than that of the camera…these are some of the nicest images that I have seen on your site! Coming from a silver halide film background I am less interested than most in some of the finer technical nuances of modern cameras…as far as I am concerned its all a giant leap forward and I am constantly amazed at whats possible compared to only a few years ago. Its a wonderful time to be a photographer! Hi. I am a high end bathroom Remodeler. I currently use a d7000 with Tokina 11-16 lens. I would love to upgrade to d600 plus Nikon 14-24 lens. It’s a lot of money for me but seems like it would produce much better results. Any thoughts or comments would be much appreciated. Thanks. There won’t be that much difference if you’re shooting on a tripod at base ISO etc. I’d buy that first if you haven’t already gotten one. Love your images and writing, your reviews and advices are the the most valuable and photo-centric that pops on my iPad every morning 😉 I’m a D700 owner since 2009 and I’m very happy with it, the only thing that drives me crazy are the inaccurate colors. When I look at your images with D700 they are always spot on. I’m shooting RAW most of the time, but still it takes me a lot of time in PP to achieve good results, not excellent like yours. Yesterday I bought a brand new D600 but honestly I found the the exposure to be not so adequate and consistent like D700, especially in spot metering. So here is my dilemma, to keep D600 for it’s lovely colors SooC or D700 for it’s versatility, but so-so colors. My workflow includes Capture NX to develop the raws, which I found most accurate for D700 in terms of colors, than I finish my images in PhotoShop, but I’m never happy enough with the final results. I’m a full time graphic designer and I’m very familiar with the graphic software and retouch, but the colors coming form D700 drives me crazy. Sometimes I’m working with files from 5D and they are gorgeous even SooC jpegs. I planned to get a 5D, but I have a nice Nikon lenses and don’t like the Canon layout at all. Would appreciate any insight you have on D700! Thanks for your compliments, Georgi. 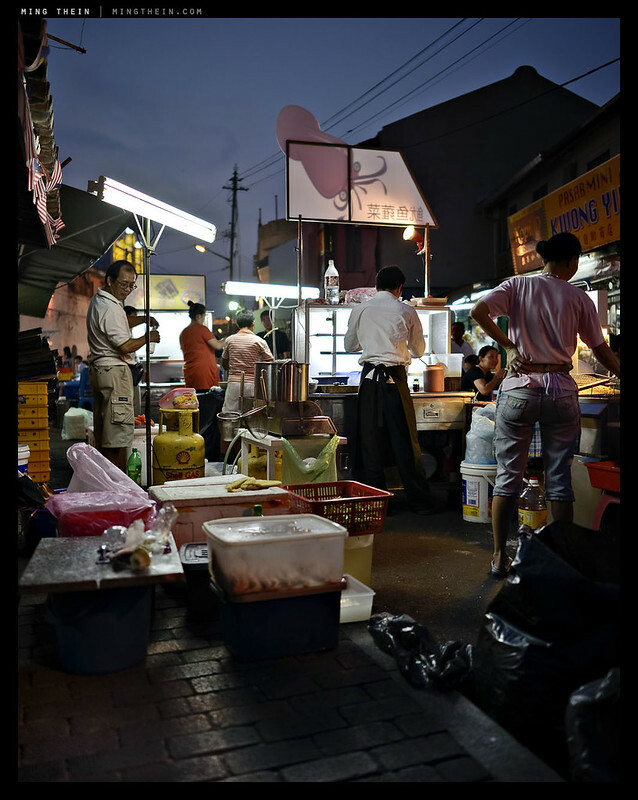 With the D700 – shoot 14 bit raw, and use the eyedropper tool in ACR. Same with the D600. I was convinced the D700 yielded pretty good color, but after some time with the latest generation I’m convinced the D800/D600 are definitely more accurate. 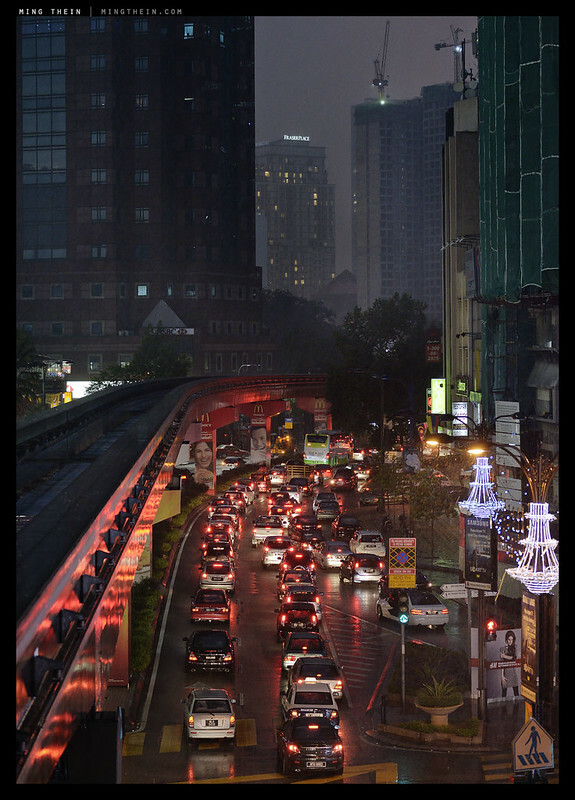 Still – try using the eyedropper in ACR on a grey portion of the frame to set your white balance manually. Forget Canon, their SOOC color is terrible. Good review, thanks. Your photos are great. I just got a D600; too early to say much about it, but so far I like it a lot. It’s a huge upgrade from my D60. You mentioned the biggest thing about the handling that really bugs me: the lack of one-touch 100% zoom in playback. I knew about that before buying it, but decided there just wasn’t enough value to justify paying almost 50% more for the D800, and in fact I specifically did *not* want a 36 Mpx sensor. Quite honestly, the overly high resolution of the D800 was the single biggest factor that pushed me away from it and toward the D600. I might have even paid the premium for the extra features if I didn’t have to swallow the massive increase in storage requirements, slowdown in processing workflow, and the need to buy only the most expensive glass to get any real benefit from all that extra weight (I mean weight in terms of data, but physical weight is a factor too). It’s all too easy to fret about every little detail when you’re trying to decide on a $2000+ piece of gear, but after four solid years of shooting with my D60, I know that the biggest limitations of any camera are in the operator, not the equipment. My goal was to move up to full frame before investing any more money in glass; thanks to the D600, I was able to do that for an amazingly good price that was unheard of before this camera existed, and I got a ton of really nice feature additions and improvements too. The differences between the D60 and D600 are incredible; by comparison, the differences between the D600 and D800 are almost microscopic. As you said, if you need the crazy high resolution, you’ll know why you need it, and if you don’t need it, you almost certainly don’t want it. As with photography itself, choosing camera gear is largely a matter of perspective. One note: the reason you don’t see a difference between lossless compressed and uncompressed NEFs is that there is literally no difference at all (and I do mean literally). That’s what lossless means; no information is lost, thus the lossless & uncompressed files have exactly the same data, bit-for-bit. Not sure why you’d want to go with no compression at all; it requires much more storage for literally zero difference in quality. It might cost a bit more CPU time (to compress the data) when capturing, but then it also reduces the strain on your SD card throughput (which is probably the main bottleneck in the entire system). Actually, there is no reason why Nikon couldn’t have included the one-touch zoom off the center ok button in the multi-selector; it seems a rather arbitrary omission to me. Agree on lossless compression, just pointing it out to the unsure. I use it all the time myself. I am coming from the Canon side with a 40D, and instead of a 6D or 5D Mark III, I bought a D600 due to its excellent feature set for the money, along with a nice 6 FPS burst mode (similar to my old Canon 40D) and great dynamic range. On the other hand, my issues with this camera is the kit lens being not very sharp (compared to the Canon 24-105 F4L/IS kit lens on the 5D Mark II and Mark III), and the body was a little too light and too small for me to stabilize easily for handheld use. I sold the 24-85 kit lens and bought a 85mm 1.8G instead, which should arrive later this week. I picked up a D800E the other day for a good price, and I am now comparing it against the D600. I am only planning to keep one camera and return/sell the other. The D800E feels much nicer and is much easier to stabilize than the D600, but it is $2700 vs. $1700 for the D600 body (after I sold the lens). I suspect the D600 will handle much better than it does now if I equip it with a battery grip. In terms of image quality, I took some quick test shots indoor on a tripod with the 105 F/2.8G VR lens to compare the two cameras yesterday, but cannot come to any conclusions yet. Which camera would you recommend? Is the D800E worth the $1000 price difference? I can return the D800E, or sell the D600. I am losing no more than $50 for the D600 if I decide to sell it, due to the high demand for it. What are you going to use it for? If you don’t need to print over 20×30″, then you probably won’t see any difference. And if you don’t have the right lenses or correct technique to shoot the D800 then you’ll probably find there’s no real gain in resolution at all. Remember also the files are 50% larger too…with all of the computer overhead that involves. Hi Ming, thanks for the prompt feedback! To be honest, I am an photography enthusiast and just take pictures for personal use, I don’t forsee needing to print over 20×30″, but I believe that I do have the necessary computing power to handle those files (quad core i7 laptop with 8gb of ram, bought in 2011). I think what I am chasing after is image quality, and perhaps versatility too. In terms of lenses, I readily have access to various Nikon lenses in my family, with the two best lenses being the 14-24mm f/2.8 and the 105mm f/2.8 VR. Both gave me great results on the D600, which I had for 3 weeks already. However, I am not as excited about the D600 as I believe I should be, given that it has all the benefits of full frame, a quick burst mode, weather sealing, dual SD slots, and reasonably fast AF, almost all of which are upgrades to my Canon 40D. I do not really know why I am not completely excited about the D600, but I have been trying to point my finger at the D600’s handling (being too small and light for me), but even that might not be the true reason. I suspect it has to do with my experience with smaller capable cameras. I have a NEX-5N which I enjoyed and used almost exclusively in the past year because it eclipses my Canon 40D in terms of image quality, low light performance, and portablity. And, perhaps this is the problem with digital photography, with newer and better sensors being crammed into smaller and smaller cameras, making slightly older DSLRs seem like expensive and cumbersome dinosaurs from yesterday. 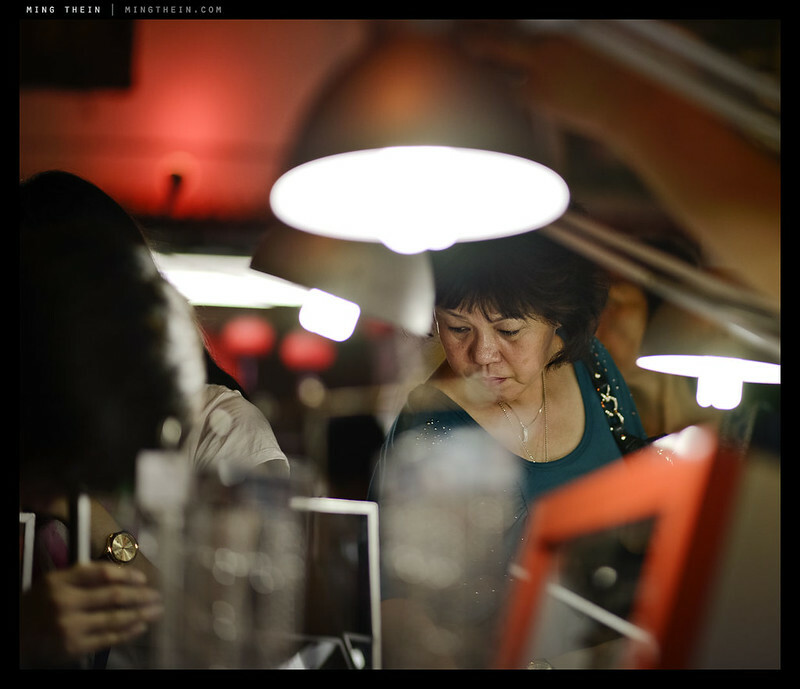 Lately, cameras like the Fuji XE-1 and the Sony RX1 really got me fascinated. However, the Fuji system is relatively new and has limited accessories and lenses, and the RX1 is purely for image quality and portability only. But, what interests me about the D600 and the D800E are their full frame sensors and the better depth of field control, bokeh, and image quality. In the case of the D600, the price is no more expensive than offerings like the Fuji and is also much less expensive than the Sony RX1, leaving enough money for one or two excellent lenses for it. Would appreciate any insight you have on this! Honestly? Use whatever makes you happy. It seems that logically you know the D600 is right, but you just want the D800. Neither one will make you a better photographer.